If you are using default checkout system. 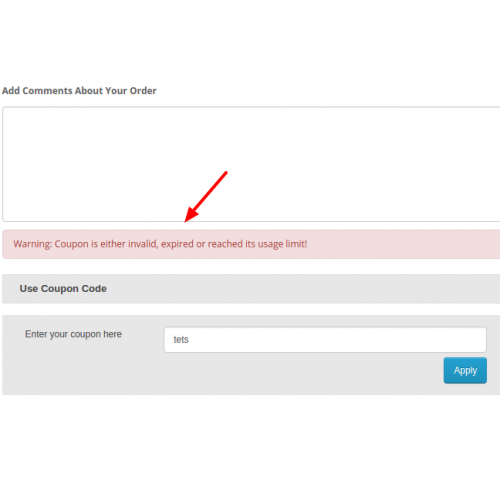 Coupon cannot be added to the checkout page. 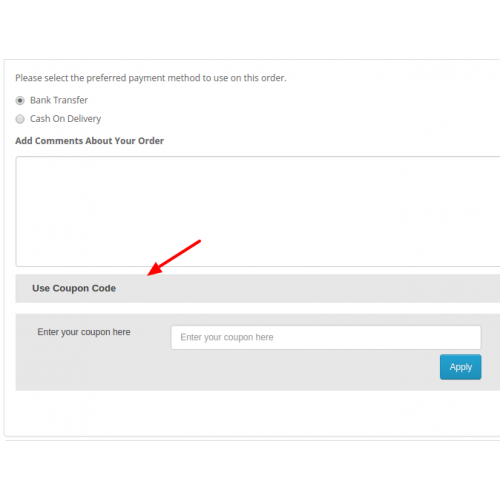 This extension helps you to add new block under payment method for applying coupon. 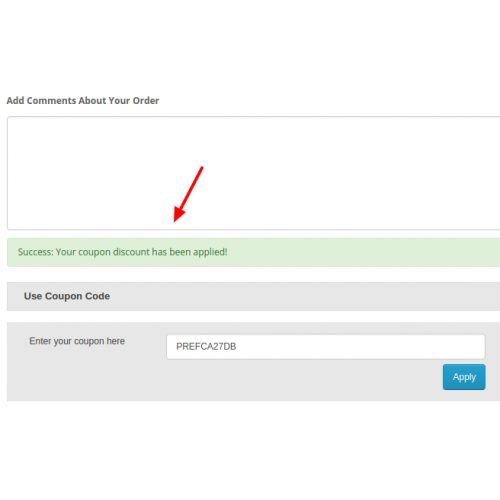 Once you apply the coupon, the success and error message is displayed in the same step. This has been tested on default theme with default opencart checkout. Rate/comment if you liked the hard work. - Check install.txt file in zip. - No core file changed. Thanks a lot, your update is really helpful. Tested on oc_2.3.0.2 and it works fine. This test was carried out on a fresh oc installation with default theme. Obviously conflicts "may" occur with other extensions, it's just a matter of troubleshooting problems. Great extension, thanks. 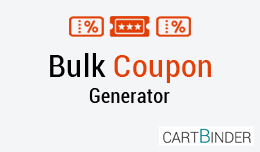 Bulk Coupon Generator/import: This an opencart extension for generating bulk coupons instantly based on your settings added to the module. You can generate ..
About This extension adds a new feature to a shopping cart. 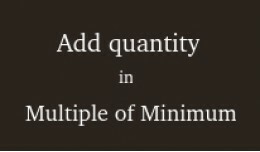 Suppose you have a product with minimum quantity as 3. Opencart version support: All vers..